The history of this special day is as old as mankind, for we have all had our special talents since the beginning of time. We all have remarkable talents that are unique to us. Which means, there needs to be a time to celebrate those talents not just for the world, but for ourselves. It doesn’t matter what your special talent is, today is your chance to shine! Interestingly, the history of this special day is as old as mankind. For we have all had our special talents since the beginning of time. Each and all talents have come to be used in important ways. Even if just to entertain and brighten the spirits of those who watched the talent in action. Unique Talent Day praises that special spark within us. It recognizes things that make us fundamentally unique from the rest of the world. Find your special talent, and share it with the world! 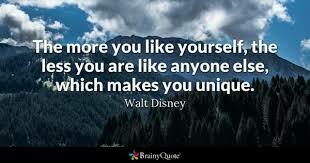 Celebrate your uniqueness today!